Fiberglass pool manufacturer Thursday Pools LLC has completed the expansion of its Fortville facility at 840 Commerce Pkwy. – a project completed solely by the company’s workforce. 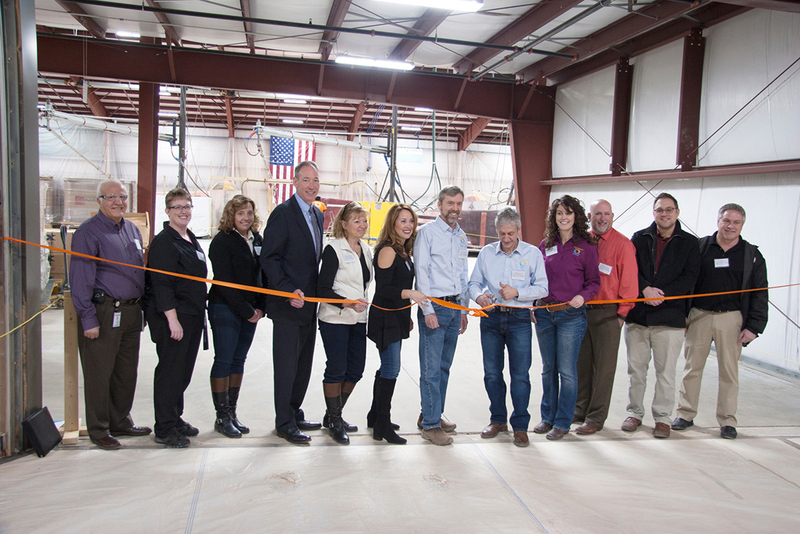 The business held a ribbon cutting earlier this month to celebrate the 35,000-square foot expansion, taking the facility from 25,000 square feet to 60,000. The expansion also has allowed the company to double its base of hourly employees. Attendees of the Feb. 1 ribbon cutting included Fortville Town Manager Joe Renner, Planning Administrator Adam Zaklikowski, town councilor Tim Hexamer, Fortville Police Commission President Patrick Calhoun, Fortville Redevelopment Commission member Adam Brown, LeAnne Whitesell, senior environmental manager for the Indiana Dept. of Environmental Management, IDEM employees Jim Dodson and Hani Sharaya and IDEM Commissioner Bruno Pigott. Thursday Pools also was recognized during the event by Pigott for its acceptance into the elite Indiana Environmental Stewardship Program, which is awarded to Indiana businesses that go above and beyond environmental regulations and demonstrate a commitment to continuous environmental improvement.